The mission, Interior Exploration using Seismic Investigations, Geodesy and Heat Transport (InSight for short) is going to be the very first devoted to studying the interior structure of the Red Planet. Exploring Mars’ deep subsurface will shed light on how the planet has evolved geologically over time, but InSight could also offer clues about Earth’s future and the evolution of rocky planets at large. Mars, roughly half the size of Earth, lost all of its core heat eons ago, which in turn caused tectonic activity to grind to a halt. In the distant future, something similar will happen on the blue marble, and our rapidly-aging little brother might show us what to expect. 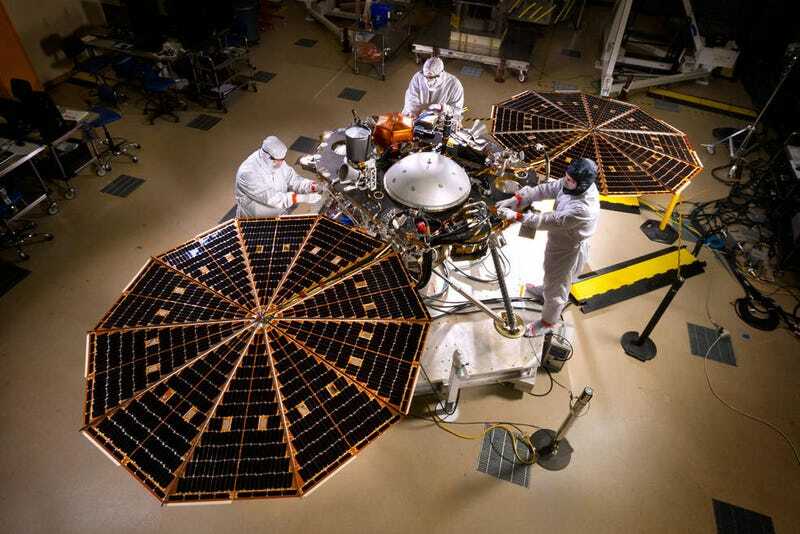 According to NASA, the technical capabilities of InSight represent a critical step toward a manned mission to the Red Planet, which the space agency hopes to ship off in the 2030s. Let’s have a look at some of the components of the geologically-minded craft now under construction by Lockheed Martin.